Tropical atmosphere... This pineapple wall light adds a touch of chic exoticism to your walls. 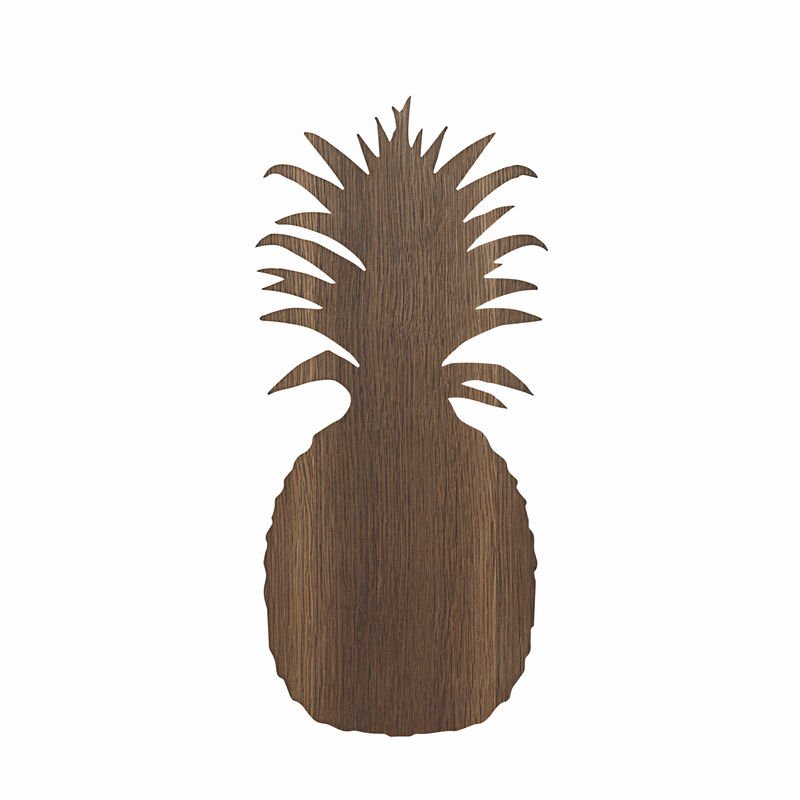 It is made from smoked oak plywood, a natural and warm material. 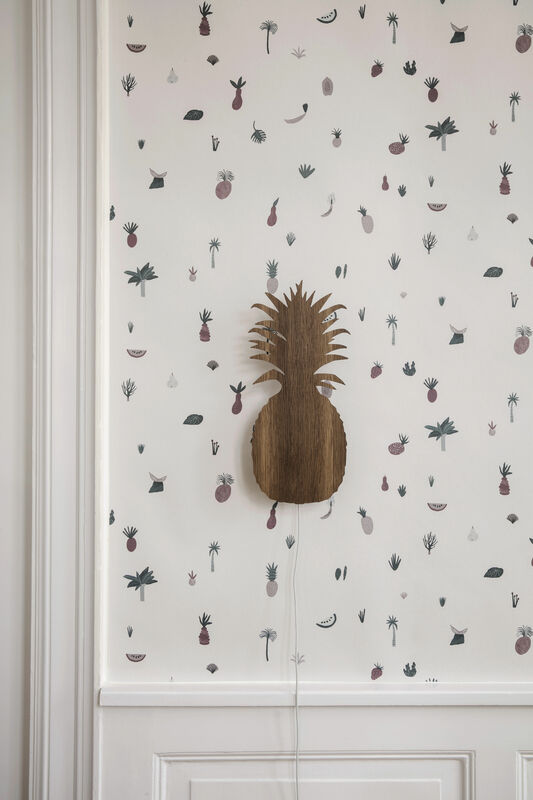 Ideal in a child's bedroom, it customises the walls with a humorous and fancy touch, in a Scandinavian and fun style. It will take your little ones into an enchanted and poetic world, conducive to developing their imagination. This wall light provides soft and warm indirect light that will keep bad dreams away! This wall light has a cable that plugs into the mains. Cable switch.